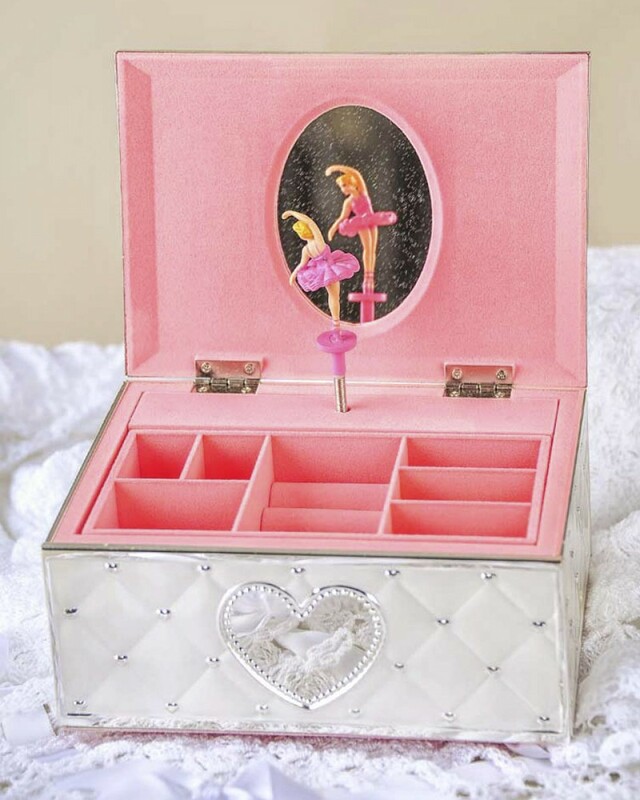 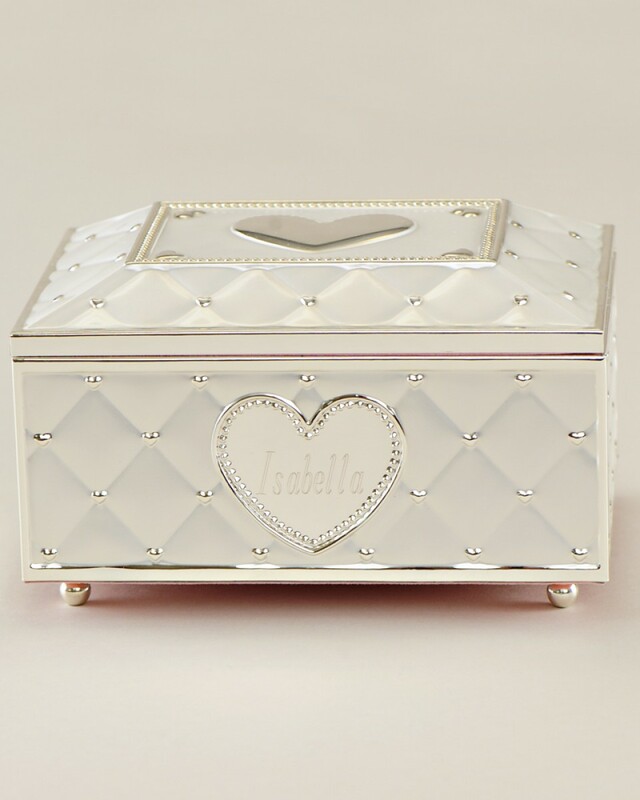 This ballerina music box is simply breathtaking with its exquisite heart detailing and silver-plate finish. 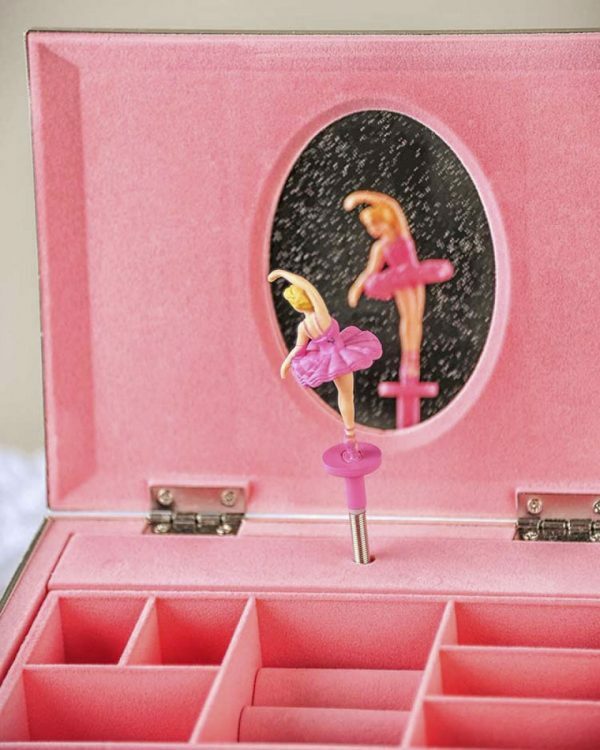 Open the lid to reveal a charming ballerina twirling to a classic tune. 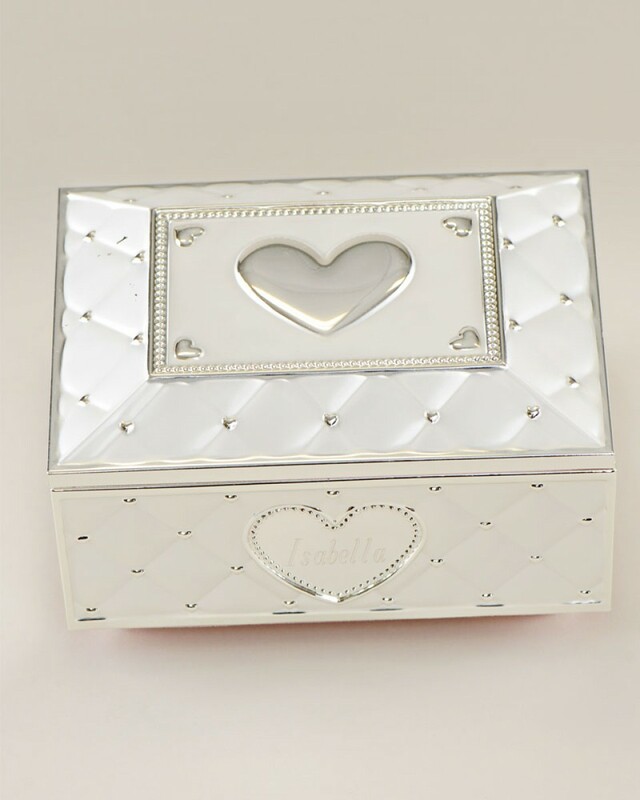 Personalize this box with an engraved name.